People with autism — and their family members — are susceptible to powerful placebo effects. Some researchers are using the problem to better understand this mystifying phenomenon. Read more here on Spectrum. One of the biggest challenges in studying autism is the condition’s heterogeneity. By definition, each person with autism has difficulties interacting and communicating with others and engages in repetitive and restricted behaviors. But the nature and severity of these features vary significantly. This diversity represents a major hurdle for developing treatments for individuals on the spectrum. Most studies ignore this diversity and instead focus on what makes people with autism different from a ‘neurotypical’ control group. No single psychological or neurobiological feature has emerged that characterizes all people with autism1. Rather, there appear to be distinct subtypes of the condition that vary in their cognitive profile, underlying biology and prognosis. This variability means that subgroups of people with autism may need different treatments. 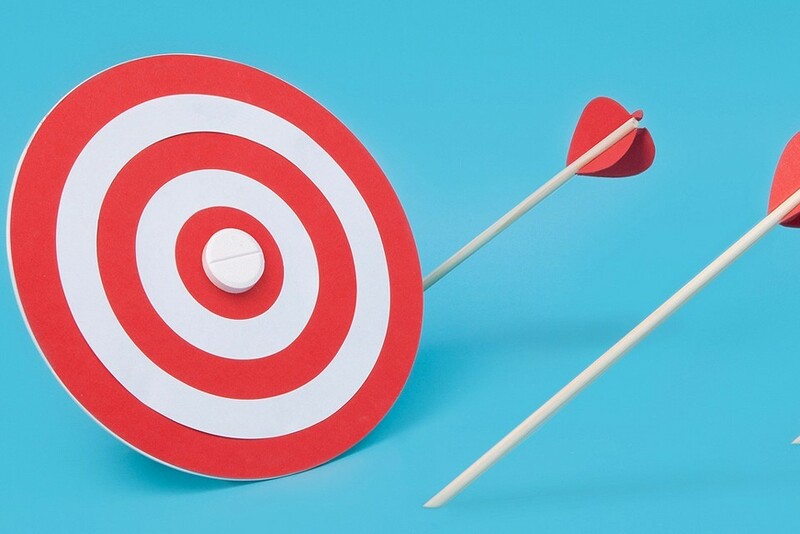 A certain treatment may be effective for a subtype of the condition, but clinical trials that include people of all subtypes may not pick up on its benefit. The journey from adolescence to adulthood is exciting and complicated, with unique challenges for people with autism and related disorders. This webinar will focus on some of those challenges and strategies to assist during this critical time of life. Have a question about anxiety and OCD that you would like to ask an expert? Join Dr. Lauren Moskowitz for this as she answers questions about these challenging behaviors in real time. Register here with the Autism Research Institute. Parents often notice the first signs of autism in their children at around 12 to 18 months. Maybe a child isn’t making eye contact, or won’t smile when mom or dad walks in the door. Read more here in Scientific American. There is a deeper exploration of the study here in Forbes magazine. Read more here in The Atlantic. Children watched a series of carefully made videos. Before each video, we flashed a small picture to draw the child’s attention. When they looked to where the picture had been, they found that they were either looking right at another person’s eyes or looking away from the eyes. When we did this repeatedly, we found that young children with autism continued to look right at the eyes. Just like children without autism, they didn’t look away from the eyes or try to avoid the eyes in any way. It was when we presented varying levels of socially meaningful eye contact that children with autism looked less at other people’s eyes. Together, these findings went against the idea that these young children with autism were avoiding eye contact on purpose or had an aversion to eye contact. Instead, they seemed to not understand or pick up on the underlying social cues and social significance of eye contact. Jennifer McIlwee Myers, author of How to Teach Life Skills to Kids with Autism or Aspergers and Growing Up with Sensory Issues, will give an enlightening understanding of how to teach life skills, how to harness the power of intense interests (i.e. obsessions) and how to comprehend meltdowns from the inside out. Jennifer was diagnosed with Asperger's at the age of 36 and has since devoted her time to learning and teaching about autism. It is her life goal is to promote understanding between those who have autism spectrum disorders and everybody else. She comes highly recommended by Temple Grandin and Ellen Notbohm (Ten Things Every Child with Autism Wishes You Knew). Do not miss this event! She will give her unique perspective to help everyone in attendance understand the autism mind and equip each one with creative, practical solutions for better day-to-day functioning. Researchers found that children exposed to birth complications were 10 percent more likely to develop ASD than children who were not exposed to birth complications. Children exposed to complications before labor began were 22 percent more likely to develop ASD and children exposed to complications before and during birth were at a 44 percent higher risk of developing ASD. 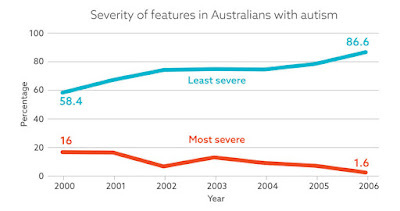 Although the number of people diagnosed with autism is on the rise, the proportion with severe features has declined since 2000, according to a study of children in Western Australia1. 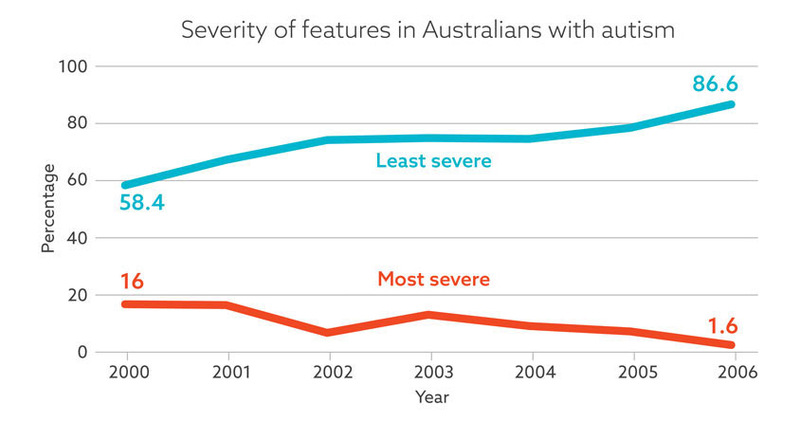 The findings, published 19 January in Autism Research, highlight a shift in the perception of autism. Until the 1990s, clinicians typically diagnosed the condition only when a child had significant intellectual disability or language problems. Grief and loss are two components of human life, which, unfortunately, everyone must deal with at some point in their lives. Everyone, including autistic individuals, grieve.Everyone has a different way of expressing loss, and it varies greatly from one individual to another. Some people tend to get angry, whereas others grieve with tears. For those on the autism spectrum, a mix of behavioral, cognitive and emotional reactions can manifest when dealing with grief. It is important to respect each individual, and to be considerate of his/her unique reaction. A few of the possible reactions are shared below. Read more here at AutisMag. The research literature suggests that video modeling and video self-modeling are effective interventions for working with children and adolescents with autism spectrum disorders (see Bellini & Akullian, 2007 for meta-analysis). In addition, video modeling has been endorsed as an evidence-based practice by the National Professional Center on Autism Spectrum Disorders (see more information at: http://autismpdc.fpg.unc.edu/content/video-modeling). Not only is video self-modeling evidence-based, but it is an easy intervention to implement that requires limited materials and time. A teacher, parent, or instructional assistant can easily use this strategy to teach a student a variety of different types of skills such as academic, social, functional, and vocational skills.